11/01/2016 - Just a heads up guys on the Aro Keel - I have some coming in 2-3 months! Confirmed today. This means I can look after everyone on my waiting list and will have a few left over. If you know of someone wanting an Aro Keel, please spread the word. Price also confirmed as exactly the same as the standard/Ekos Keel despite the fact it's a special production run. Great news, Peter. I hope I am one of the confirmed recipients! And I'd like a Krystal to go with it, please. evil_C wrote: Great news, Peter. I hope I am one of the confirmed recipients! I can do this - Yes I have checked today. So, if anyone wants to take advantage of the Krystal offer on a Keel/A please let me know ASAP. LOL! Just read this and thank you. 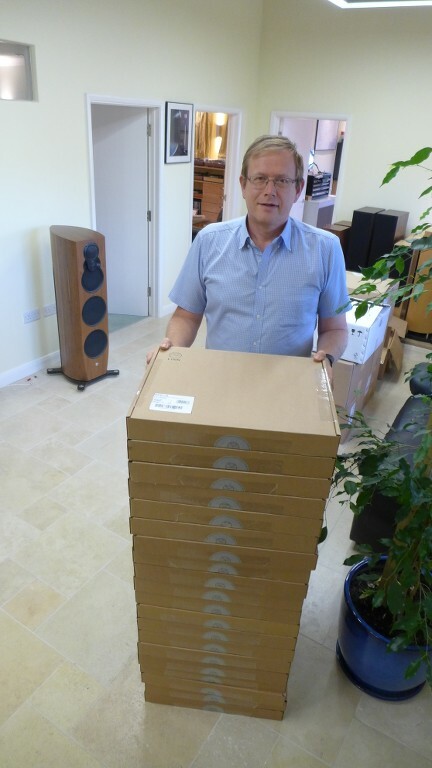 - I sold my last one 3 weeks ago before I headed for France on holiday, but managed to pose the question about "more please" with Linn before I went and I'm pleased to say that following negotiations, I hope to see a new batch in October Thus continuity of supply is restored! Back in January this year, HQ agreed to make another batch of Aro Keels. These duly arrived in March, and by the time it was July, surprisingly they had all gone! Demand here in the UK was surprisingly good and I was also able to help out a few retailer friends with their clients too. Given this, I was back on the phone to HQ asking about the chances of yet another batch! I was not particularly hopeful as it had only been a few months since the other batch had arrived. However, within an hour I had confirmation that they were happy to make another production run. So today, with a large intake of breath and a feeling of déjà vu, I received them... And the bill of course! So, once again please spread the word if you can, as for now we have the wonderful Aro Keel available for users again. *Additionally, given my order was placed in July, it means that they have been supplied to me at the pre-increase price and hence they will stay at this price as long as I have them. This also applies to some limited numbers of other LP12 upgrades that I was able to stock-pile before the price rise! I couldn't squirrel as much as I'd have liked, because I knew I'd be receiving the Aro Keels (and the bill), so, obviously it has to be first come, first served guys and while stocks last.